Purchase tokens to use throughout the aquarium. 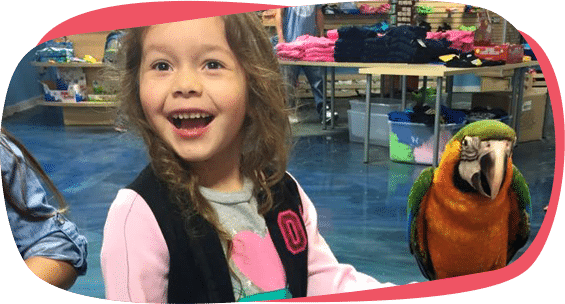 Use tokens to get access to everything from pony rides, bounce house entrance, cotton candy, or feed the sharks, rays and lorikeets. Among the exhibits featured throughout the aquarium are a wide variety of amphibians, an interactive lorikeet and parakeet aviary, and a variety of cold water and tropical fish. Also, San Antonio Aquarium features sharks, a stingray touch tank, a rainforest with hundreds of reptiles and our newest addition to the family, Kiwi the sloth! 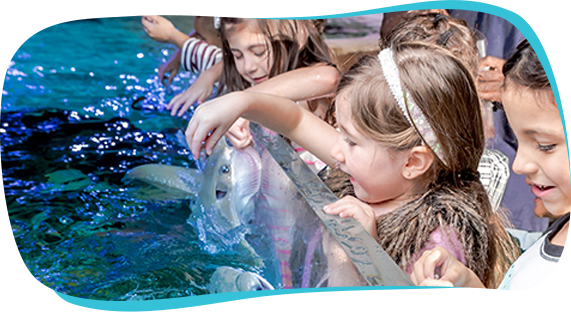 The San Antonio Aquarium provides children and families access to the excitement and learning opportunities of the ocean without the long trip to the coast. Guests can watch jellyfish gently float and glow and admire the bright and colorful corals without leaving San Antonio’s city limits.